For most of us, the bed is the best place to relax. Especially, your own bed in your own room gives you a feeling like no other bed can give you. The comfort and ease of this solely depends on the materials that the bed as a whole has been made out of. This is a combination of the structure of the bed and the other parts of it as well. For instance, the bed becomes whole when the mattress, sheets and pillows come into play. Therefore, you must pay attention each and every detail of it if you wish to get a good night’s sleep. What are the most suitable materials that can be used for the sheets? American upland is considered to be the most commonly found type of cotton in bed sheets. The staple fibres in it are shorter in length and will give you a rougher feeling to the skin in comparison to other types of material, making it ideal for cold weathers rather than the hot ones. Another plus point in buying this would be the fact that it is the least expensive out of other cotton material, making life even easier for you. The label ‘100% Cotton’ can be considered as a clear indication of an item made of American Upland. Egyptian cotton is perhaps known to be used by the wealthy ones as it is indeed the most expensive type of cotton that is available for you to buy. These sheets are known to be luxuriously soft. Although they are soft, they are also extremely durable, giving you your money’s worth. Once sold in only exclusive stores, Egyptian cotton can now even be found in the linen department near you. 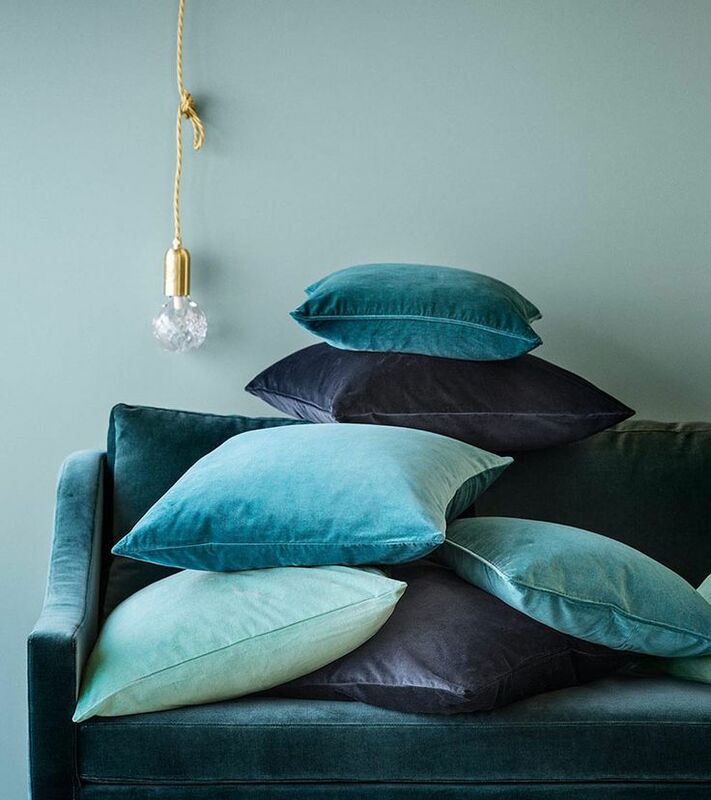 You could even get them to match the blue velvet cushions on your bedside sofa so that the bedroom seems to be in synch. Don’t you love that feeling of the linen bed sheets against your skin? The most significant and distinguishable feature of this is that it gets better with age. Therefore, linen is usually a crowd favourite as it defines comfort and easy, especially when you are lying on your bed. In addition to these rewarding features it is also known for its breadth ability as well. This type of material gives you a smoother feeling to the skin and is considered to be similar to that of silk. This fabric is woven making use of four threads which are woven over and one under. This technique is the reason for its soft and lustrous feeling against your skin, enabling you to enjoy a good night’s sleep in your bed. Which material would you chose as your bed sheet?